Ever wonder why some points of the day you feel so energized while other times you’re dragging? It’s a rollercoaster of emotions and energy levels throughout the day. Multiple factors can play into this effect, but one major culprit is our blood sugar. Ideally, our blood sugar should stay relatively consistent throughout the day, not fluctuating all over the place hour to hour. A healthy body is adept at removing sugar from the bloodstream when we eat too many carbohydrates, and breaking down sugar (from stores in our liver and muscle) to raise blood sugar when needed (e.g. when we don’t eat for a few hours, don’t get enough sleep, or get too stressed out). However, due to our fast-paced and stressful lifestyles and poor eating habits, we have pushed our bodies’ limits, spiraling metabolic hormone balance out of control. All of this can be changed with the proper diet plan. Every morning we wake up to an elevated cortisol level. Cortisol is the stress hormone that raises our heart rate and blood sugar, and basically gets our body processes up and running so that we can get up and start our day. The morning blood sugar level is around 100 mg/dL, a healthy number following an overnight fast. In order to stabilize this, we need to eat a well-balanced breakfast to give the body the protein, fat, and carbohydrate it needs to run and to give the brain a steady flow of energy. Done properly, we stay alert and energized for a few hours until it’s time to refuel with some more good nutrition, after which we continue to feel stable, focused, and revitalized. Unfortunately, many of us wake up in a rush, don’t feel hungry, and end up skipping breakfast. What happens then? By mid-morning, because blood sugars have dropped, you may feel exhausted and/or starving, so you head to the break room for a bagel or breakfast pastry, reach into your bag for a cereal bar, head to the vending machine for a soda and snack, or maybe grab a coffee loaded with sugar for a pick-me-up. A mountain of sugar now rushes into your bloodstream, which feels pretty good for a little while, but then shortly after you begin to feel fatigued and foggy as the sugar high is reached. By lunchtime, perhaps you can get some real food in your system. But still, your body is overloaded with sugar, so in attempt to normalize sugar levels, it transports the excess into the cells, uses what it can, and eventually stores the rest as fat. The impact from plummeting blood sugar levels is undeniable: you feel irritable, moody, anxious, or depressed, and you may experience cravings on top of it. By around 3pm, you’ve unintentionally caused your body to go through a rollercoaster of highs and lows of energy, blood sugar, and mood. Your body’s glucose stores are almost depleted, so you’re craving something sweet to help push you through till 5-6pm, when you get to go home, run some errands, or even get to the gym… but this rollercoaster effect calls all bets off! You’re tired. You’re hangry. And by this point, it’s nearly impossible to make a good food choice. No matter where you go, those carbs are calling your name and maybe you don’t even realize that you end up inhaling dinner and have no real concept of hunger or fullness. Once the evening closes in and you finally sit down to unwind, you may start thinking about that nighttime snack… and this is when it is the hardest to stay on track. Chocolate, cookies, ice cream, popcorn, chips… one or more finds its way to the couch with you and before you know it, it’s gone. Does any of this sound familiar? Don’t worry, many people fall victim to this vicious cycle. 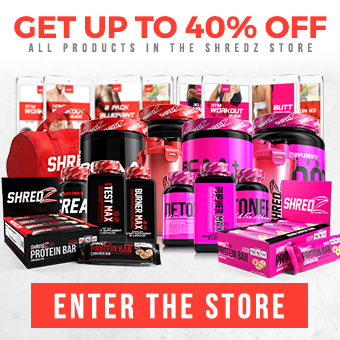 The rollercoaster effect can start at any point during the day if you do not properly fuel your body with the right amount of protein, carbs, and fats. But it can also happen if you get too stressed out and cortisol spikes your blood sugar. The reason this happens is the primal “fight or flight” instinct: the body’s normal response to stress is something along the lines of “Hurry! Run! There’s a tiger!” and it seeks a source of instant energy -- so glucose is released into the blood to handle such stress – but of course there’s no tiger! We’re just stuck in traffic or stressed out about a deadline. This rollercoaster effect can also be caused by a lack of sleep. Sleep is like the charger that juices up your cell phone. If you don’t get enough sleep, your body won’t be well-charged. Your natural battery will start to deplete throughout the day and you’ll eventually crash, followed by craving sugar and carbs, and the body will continue to break down its own carb stores, bringing blood sugar levels back up, feeding into the same vicious cycle. No need to worry though, you can beat or break the cycle! Good nutrition helps break and even prevent lack of sleep or stress from striking in the first place. Mom was right! Breakfast is the most important meal of the day, as it helps you take charge of your metabolism and body’s process from the start of the day. Everyone needs a good breakfast, but exactly what you should be eating is specific to your goals and needs for optimal physical and mental performance throughout the day. That said, we all should include a healthy lean protein source to maintain muscle and promote fullness; a healthy fat to stabilize blood sugar, promote fullness, and burn more fat; and a healthy mix of carbs from high-fiber vegetables, fruit and/or complex carbs. Portioning out all of these correctly is crucial in making sure the body is balanced and running most efficiently. 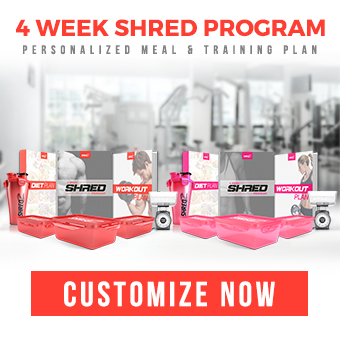 If you're looking to change things up and get back on track, take a look at the custom diet and training plan offered here at Shredz. No matter your goal, age, gender or lifestyle, the professional staff of registered dietitians and exercise physiologists will work with you each step of the way to come up with the perfect plan for you. Yes, you can gain control of your body all day, every day, and feel your best!